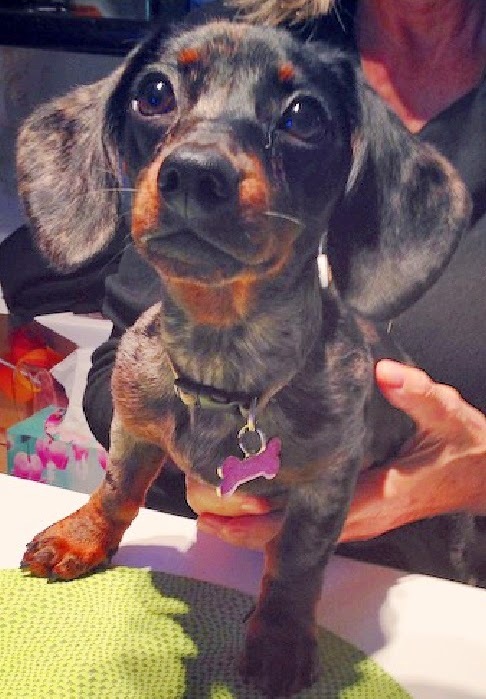 We love it when our customers send us photos of their adorable pets posing in their new PetBling.ca tags! This sweet puppy is Frankie, who is quite a girlie girl. 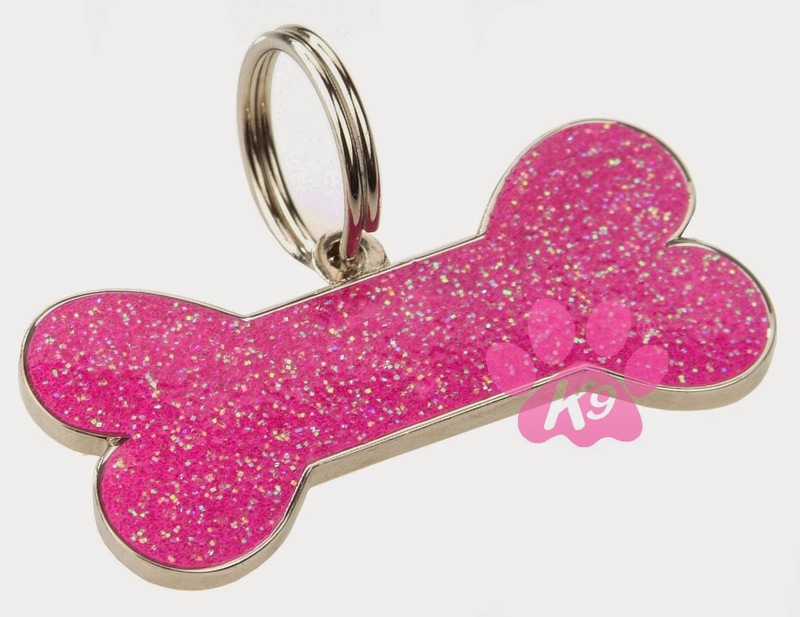 Frankie is wearing a pink glitter bone tag from K9 by Igloo. 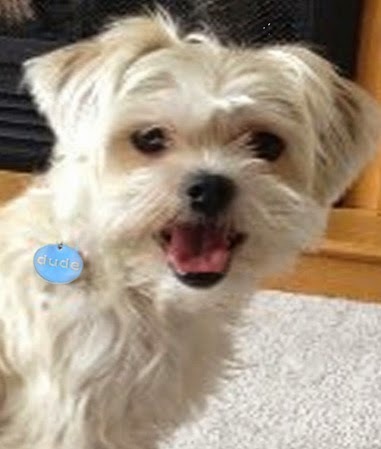 Here is a great picture of Rudy wearing his K9 by Igloo Dude id Tag. Rudy has such a great smile and his owners describe him as a lover not a fighter! Our next model is the very handsome Guinness who looks fantastic in his Union Jack id tag. What a noble profile! 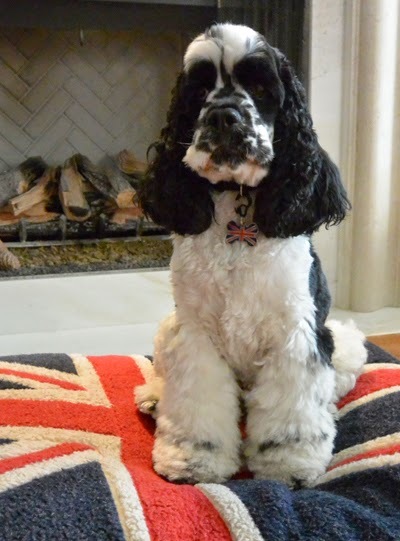 Another fan of our Union Jack id tags is this beautiful boy, Oliver. I suspect that Oliver is a very snuggly dog! 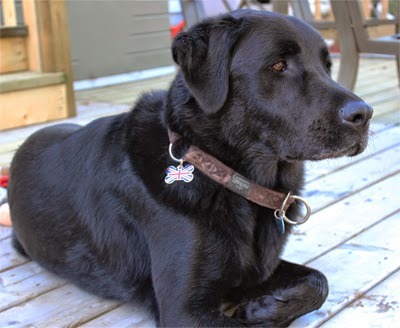 Did you know that my search for a Union Jack id tag for my sweet boy, Harry, was the beginning of PetBling.ca! 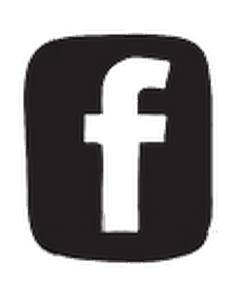 You can read the story of how PetBling.ca began almost three years ago here. 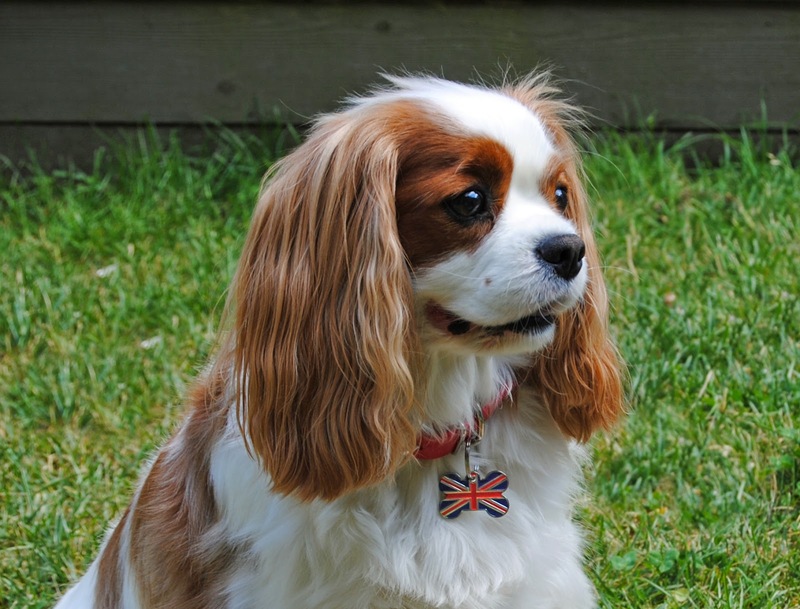 Here is our Harry, a Cavalier King Charles spaniel, in his Union Jack tag .... loved and never forgotten. I'll be back with more pictures of pets posing with their PetBling. 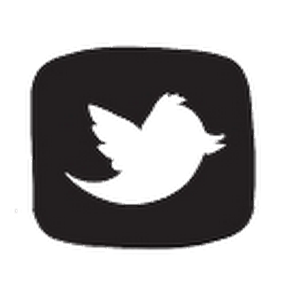 Many thanks to all the pet parents who have shared pictures of their fur babies with us!